Fazoli’s Hall of Fame honors former staff members, franchisees, board members and suppliers whose vision, innovation, leadership and contributions were of exceptional historical significance, and who left an indelible mark on our brand, our communities and our industry. 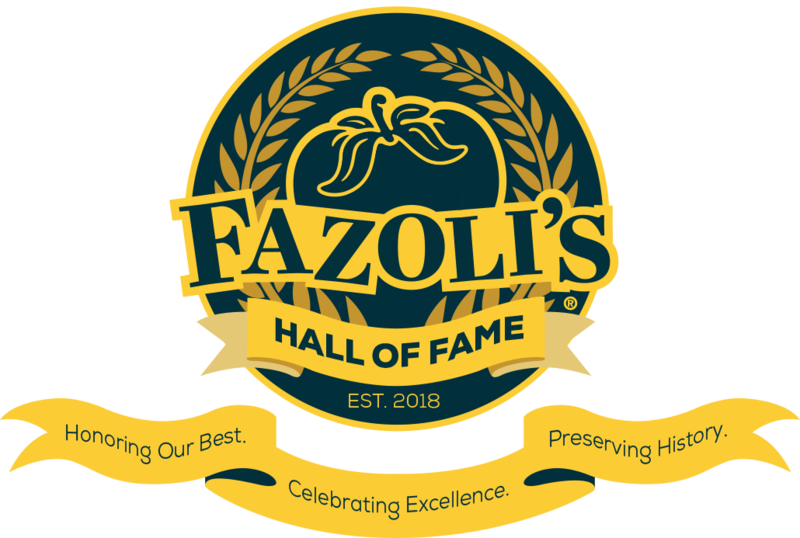 Established in 2018 to correspond with the 30th anniversary of the opening of the very first Fazoli’s on September 6, 1988, the Hall of Fame is a lasting tribute to the brand’s rich history of innovation, an unwavering commitment to excellence and an iconic legacy of leadership. It is the avowed purpose of the Hall of Fame to honor our best, celebrate excellence and preserve our history. Would you like to nominate someone to be considered for induction into the Fazoli's Hall of Fame? Use the nomination form to let us know! Please click on the images below to display complete biographies.